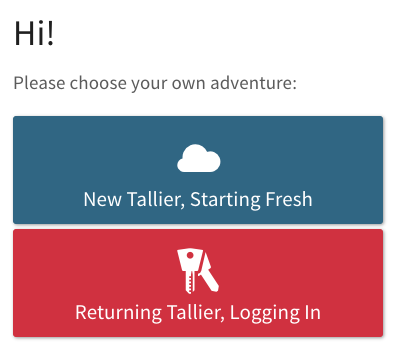 Just choose "Returning Tallier, Logging In" from the home screen. Note: In order for us to locate your backup, you'll need to have previously answered our security questions or saved your encryption keys. Make sure you do that ASAP by going to the Security section of the app. If you keep forgetting to do that, don't worry — there's now a reminder in the app that will pop up periodically until you do it. Bye-bye, Social Log. Hello, Collection Templates! 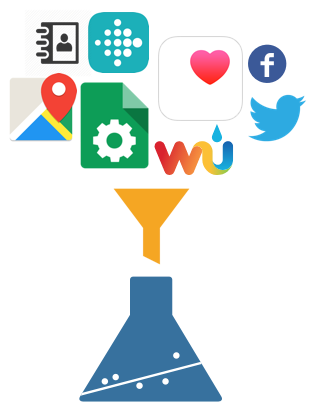 Remember how when you first started using TallyLab, we automatically installed the Social Log — an example collection we used to help explain the app to you? 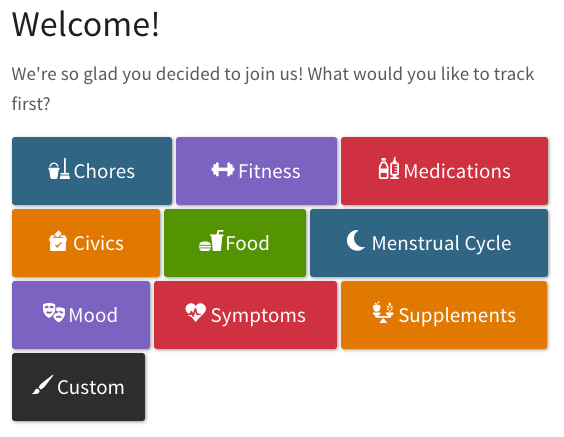 This palette of collection templates will be at the bottom of the home page any time you want to add one, and we'll be adding to it over time. 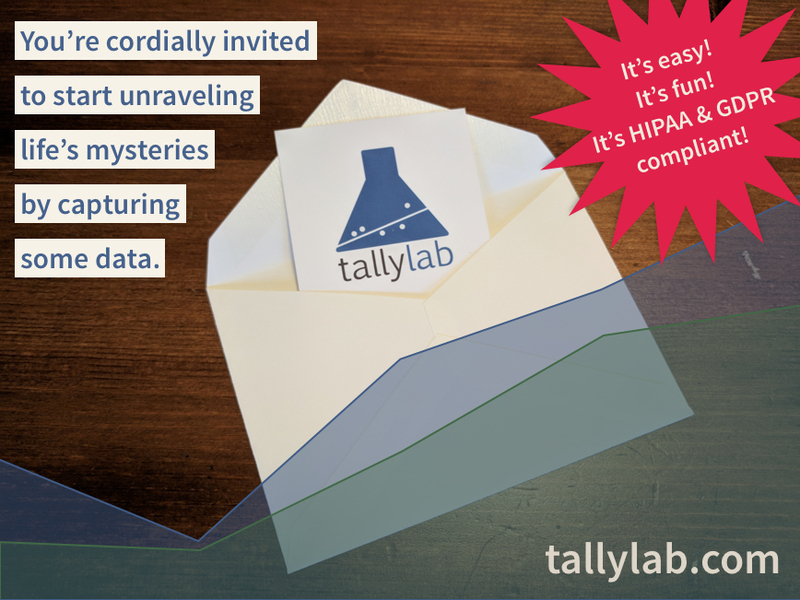 If you're psyched about what we're doing, please share TallyLab with your pals! That's all for now! Feel free to reach out to us by replying to this email or by clicking one of the links below.